Im terribly proud of the accomplishment my fave hip hop mogul is experiencing right now. Jay Z has proudly repped his home town of Brooklyn New York his entire career.. all the way down to the projects he grew up in. So much so that his life story is a part of his celebrity in a sense. As a long time fan, Ive known for years that Jay has an affinity for many things other than his beloved Brooklyn. One of those things being basketball. 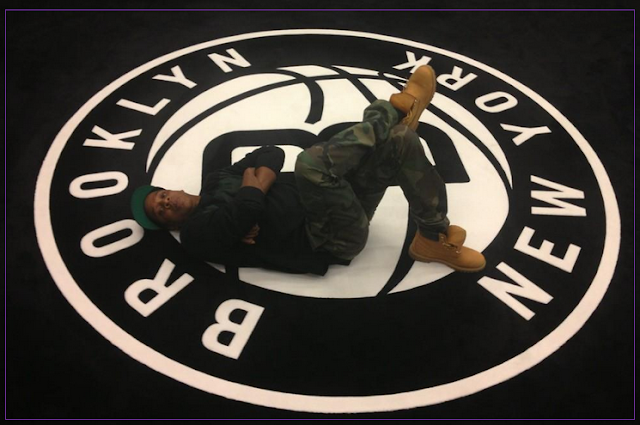 So, a few years back when he started mentioning bringing a team to Brooklyn, then got more specific with saying he was moving the Nets to Brooklyn as a fan, I knew he was doing more than word play. Sure enough he has kept his words and his city officially has a team and a stadium! To celebrate the grand opening of Brooklyn's Barclays Center and the Brooklyn Nets, Jay Z will be hosting a sold out concert this weekend! What a feeling this has to be for him! A true rags to riches story. Reporters stood outside of the pre celebration at Jay Z's 40/40 club and asked the Hip Hop Mogul a few questions. Also in attendance was Kris Humphries-Kim K's ex who is a member of the team... see his response to the reporter's Kanye questions below..
PS. Check JayZ's reaction to being asked about rumors that Beyonce is expecting their 2nd child together!